We have the gift that every mom wants this Mother's Day. That is a gift card to The Spa Lounge. The great thing about our gift cards is you can buy them in any dollar amount and for any particular service. The other great thing is that we will not try to sell you some cheap gimmick just to get you as a member. We are a NO-Membership Required Full-Service Day Spa with reasonable rates and great services. Sure you can go to the other guys but they will only push cheap memberships on your mom when she comes for her service and we guarantee we have more service offers than they do. We are Draper Utah's Premier Day Spa. So don't wait! 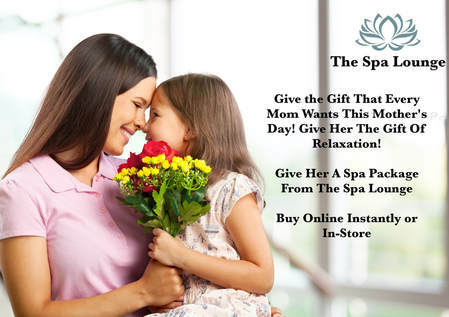 Make sure your mom has the best in relaxation this Mother's Day. You can buy gift cards Instantly Online or In-Store. Buy Gift Card Online Instantly Here!